Your furnace has an important job to do. It keeps your home at a comfortable temperature day after day. That makes it one of the most important aspects of your home. Unfortunately, even the best maintained furnace will reach the end of its life at one point or another. Does your furnace need to be replaced? Is it time to start looking into your options? Then now is the right time to speak to a Heating Ontario professional. We have over ten years of experience installing furnaces throughout the city. Our team can help you find the appropriate model for your residential or commercial space. Having a well working furnace is essential, especially with the winter months getting colder each and every year. That can make it difficult for home or building owners to stay comfortable without overspending on their monthly utility bill. There is a solution. The best way to save more than you spend is to focus on your furnace. After a certain number of years, your furnace will start to work less and less effectively. It will require more energy and repairs in order to keep it functioning. The alternative? Have a new furnace installed in your space. There are plenty of models on the market that are effective and energy efficient. In addition to those energy efficient choices, there are also a number of other furnace options you can choose from. It all depends on what you want and what you need. 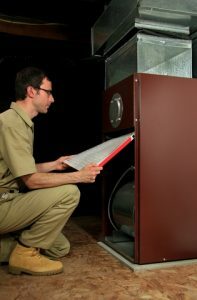 At Heating Ontario, we understand that a furnace install is not something to take lightly. Achieving the best results requires knowledge, skill, and professionalism. That is why we have made things simple. All of our heating contractors have the hands on experience you need. Not to mention a friendly and professional attitude. That makes it possible to find the right furnace for your home when you need it most. When it comes to your space, we take a number of factors into account. That includes the age of your home or commercial building, specific features you are looking for, energy saving technology, and of course, the budget you have to work with. Our team helps you choose the appropriate furnace. We don’t just help you find the right furnace for your home. Our team of professionals also delivers unbeatable installation services. Yes, at Heating Ontario, we excel at furnace installations. We have years of experience installing furnaces quickly and effectively. We know how important it is for your space to stay warm and cozy when the temperatures drop. That is why speed and accuracy are our biggest priorities. Why is this so important to us? A properly working furnace makes it possible for your space to get back to normal as quickly as possible. Let Heating Ontario improve your residential or commercial space. We excel at delivering quality furnace install services throughout the city. That includes Toronto, Markham, Mississauga, Richmond Hill, Scarborough, Thornhill, and Vaughan. Are you interested in a furnace install? Do you have questions about your current heating system? Get in touch with a member of Heating Ontario by calling one of our representatives at (click-to-call): 647-591-2683.